General ArticleShould You Perform Preventive Maintenance on Your Pipes? Plumbing problems are unpredictable, and one of the most neglected parts of the home are the drains. Most pipes are hidden, and difficult to recognize, and this is where the majority of unforeseen problems occur. This makes it even more critical to take preventive measures now and prevent disasters down the road. 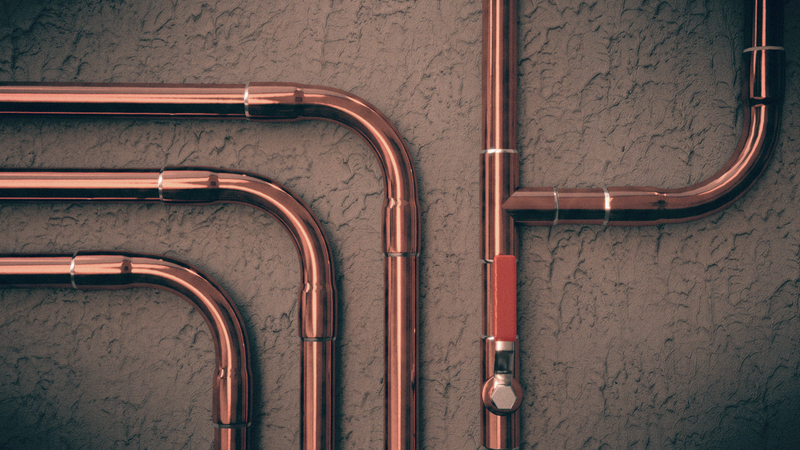 So how often should you have your pipes professionally checked? When it comes to drain cleaning Cincinnati OH professionals say approximately every 18 to 24 months, but there’s a lot you can do yourself to unblock pipes. Clogged or slow-moving drains are seldom due to pipes. It’s usually because of some accumulation of solid waste or small objects stuck in a pipe. Before purchasing chemical-laden items that promise to unclog a drain, keep in mind, pipes are fragile. Most chemical cleaners include ingredients such as sodium hydroxide, sodium nitrate, and sodium chloride. These chemicals are not always as effective as they claim, and worst yet, over time they can damage the pipes in your home. One of the easiest methods of cleaning your drains is using homemade drain cleaners. The most common, well-known mixture is Sodium bicarbonate (baking soda) and vinegar. The two ingredients together form sodium acetate, creating a mild bubbling reaction, that releases carbon dioxide. When released down a drain, the ingredients work to dissolve solids. Pour half a cup of each ingredient (baking soda and vinegar) down the drain and allow to sit for 20 minutes. Next, pour about 3 liters of boiling water down the drain and using a plunger, plunge the drain a few times. Afterwards, run water to see if the drain is now unobstructed. Another common method of clearing a drain is with a wire coat hanger. You simply mold a wire to sufficient length and insert into drain to try and pull back anything that is stuck. This works less than 50 percent of the time because the wire typically isn’t long enough. The experts use professional tools that can reach 25+ feet or more. Additionally, in many cases, homeowners can make the clog worse by pushing the obstruction further into the drain, so use caution. If these DIY methods do not dislodge the obstruction, it’s time to consider disassembling the drain pipe and you’ll require the services of a professional plumber. Always try to use a filter cap that prevents larger pieces of solid foods or other items from falling through the pipes. Clean the pipes periodically with hot water and salt and baking soda. Many of the products we use, like soaps and detergents, can leave sediments. Cleaning your drains will prevent a pipeline clog if you do this continuously. Never throw non-degradable papers down the toilet; they can clog up the entire pipeline and drive up future repair costs to completely clean the drains. Never pour oil into the drains. Besides being highly polluting, it causes the oil to turn into a solid and can remain stuck to the pipe walls. Cleaning your drain pipes is just as important as any other maintenance you perform in the home, thus, scheduling a major cleaning every two years will be well worth the money spent.